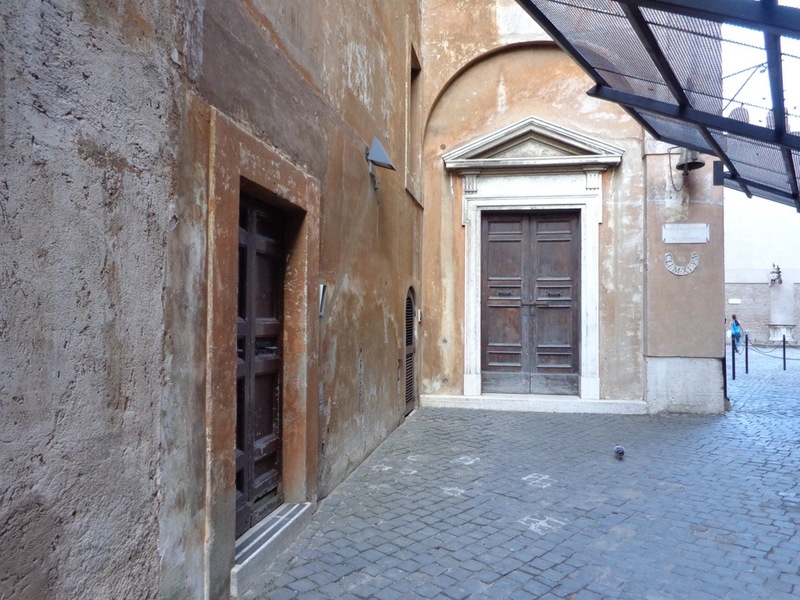 My first day in Rome, after checking into my hotel, was spent exploring the labyrinth of walkways, courtyards and rooms that make up Castel Sant’Angelo. Although tired from a long flight, the walking did me good. The spiraling richness of the structure was fascinating. It is much more complex than I had expected. Towering impressively next to the Tiber River, it is now a museum of Renaissance artworks and old military equipment. 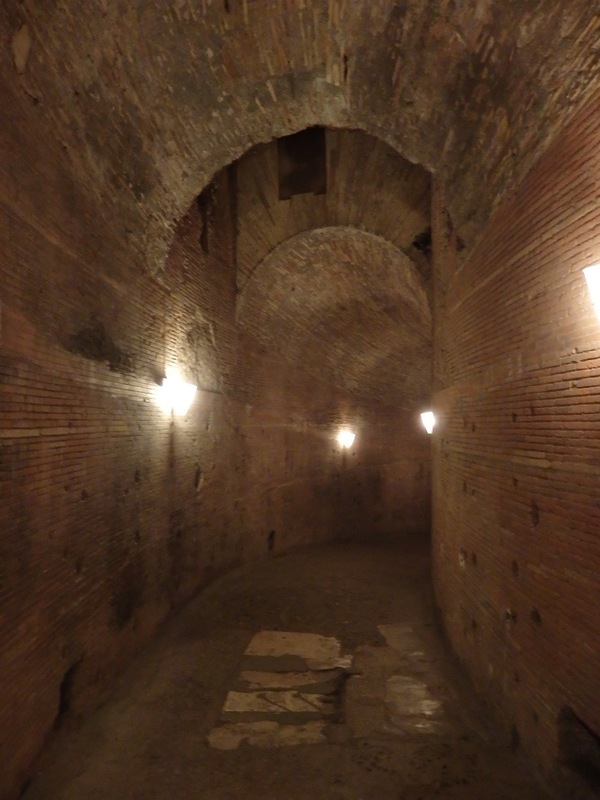 Emperor Hadrian had it built around 135 AD as a mausoleum for himself and his family, but it has been used by the popes through the ages as a military fortress and prison. 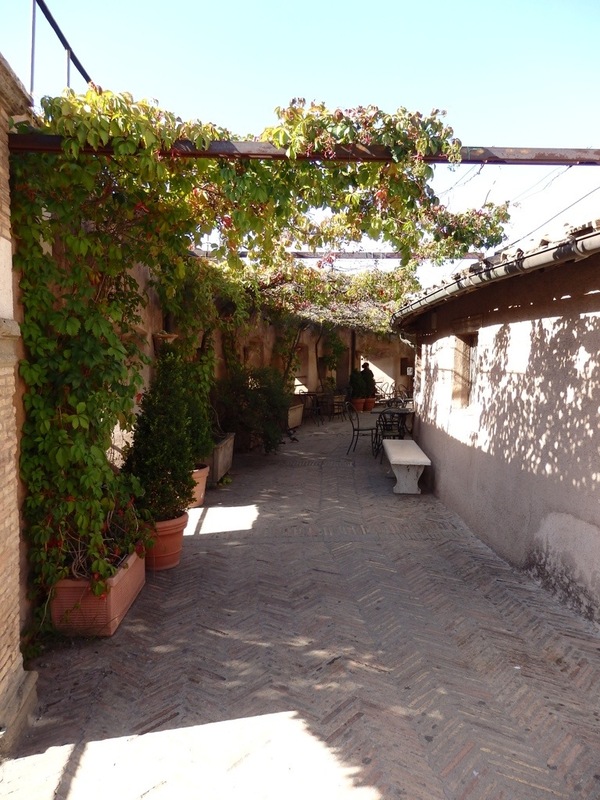 On top of the Castel is an open area with panoramic views of Rome. The wind was gusty as people posed and snapped photos. In this one, off to the left, you can see Victoria Emmanuel with it’s two winged chariots sitting aloft. 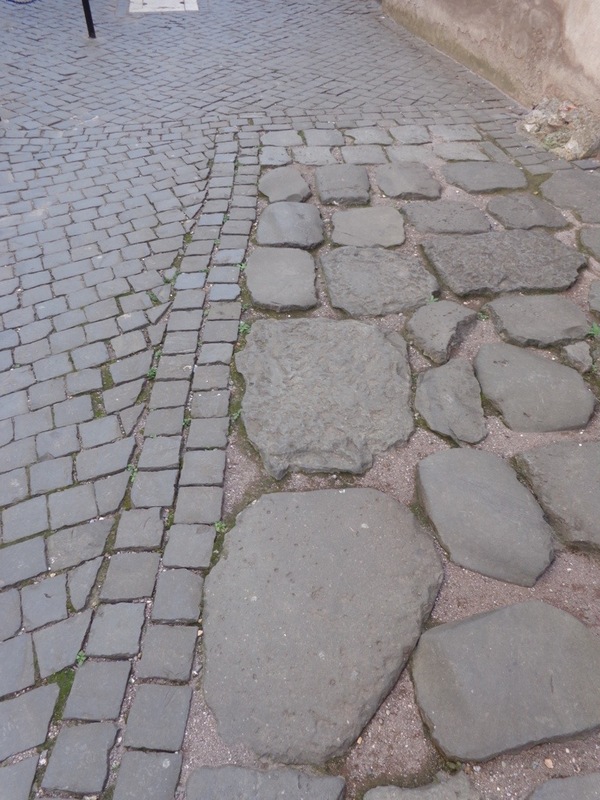 Below is a section of the old Roman streets. How did they walk on these? It made me thankful for the smooth roads we have now in our day. But we can give the Romans credit for being the first to build them. 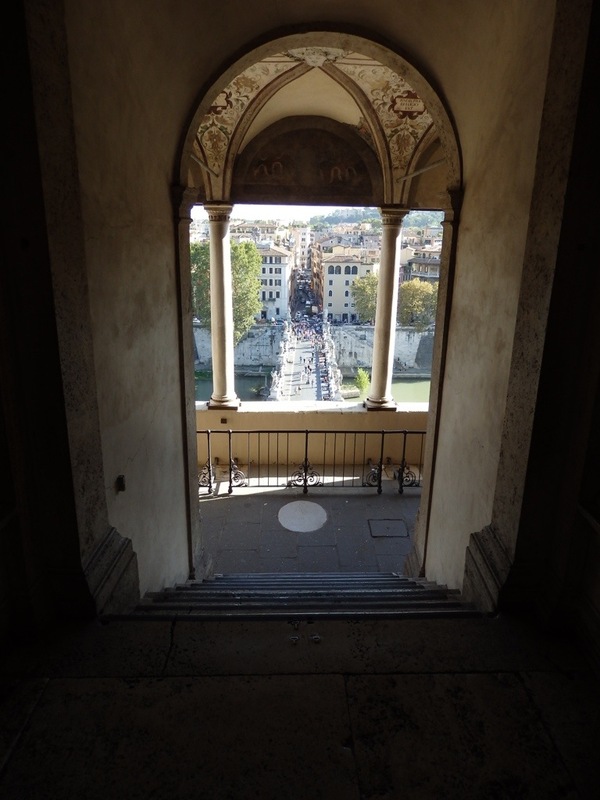 The following photos are taken inside the Castel Sant’Angelo…. 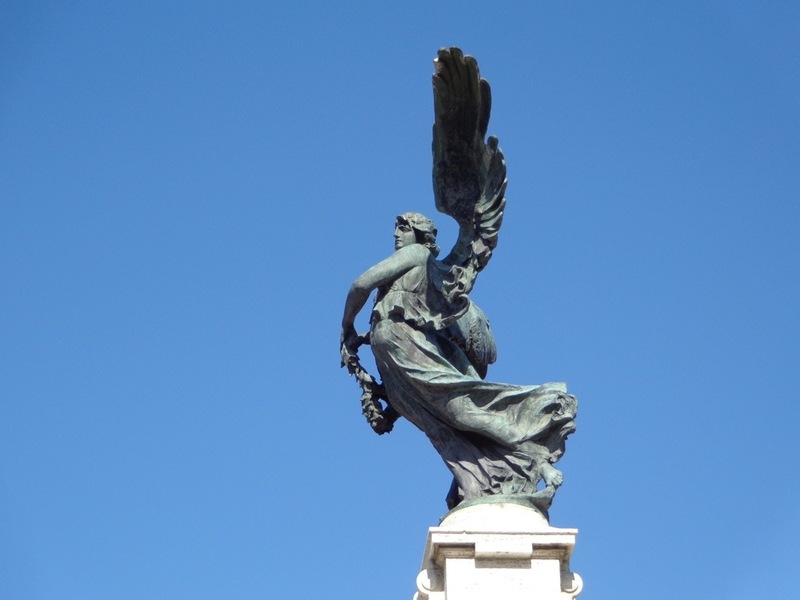 The Archangel Michael, from which Castel Sant’Angelo got its name, sits high and lofty on top. Very impressive! 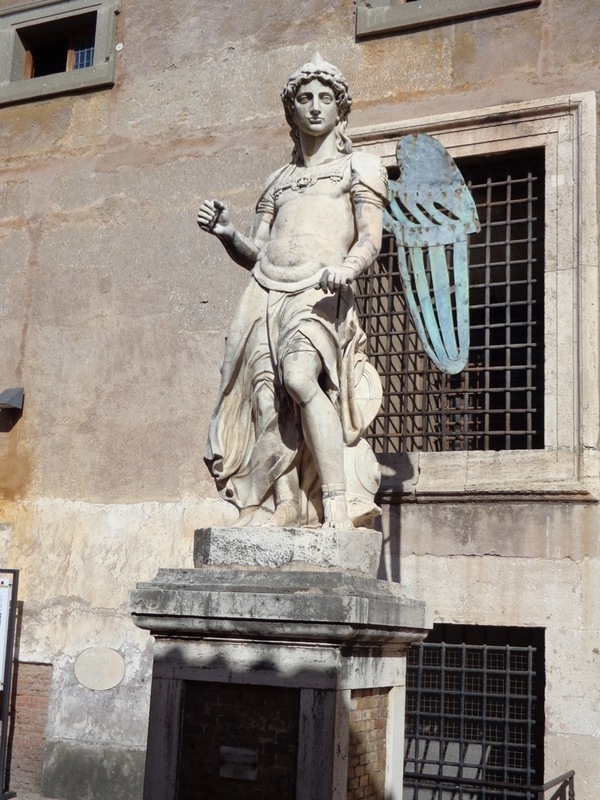 Below is the old original angel, made of marble, and kept in a courtyard inside the Castel. 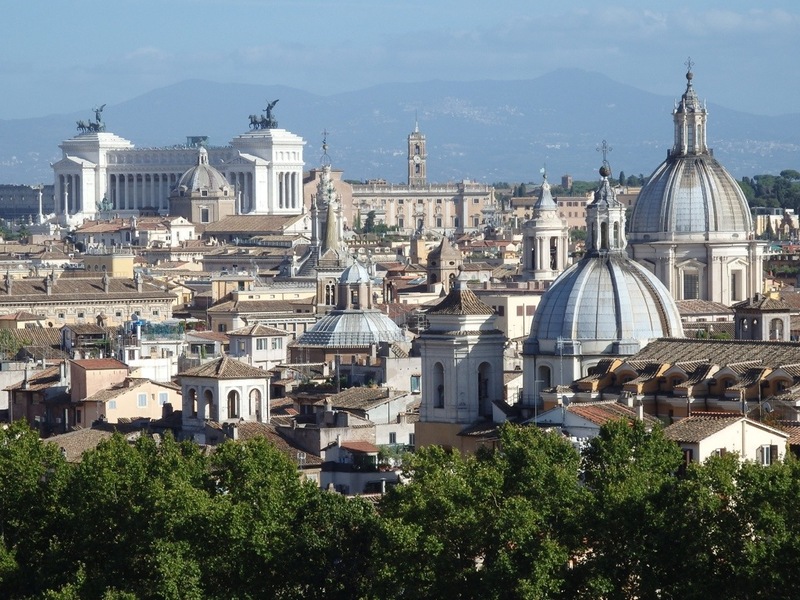 Tomorrow will take me to Trastevere where I plan to explore the Jewish Ghetto, try some fried artichokes, and wander up the Gianicolo hill for some tremendous views of the Eternal City. Stay tuned…… more to come! 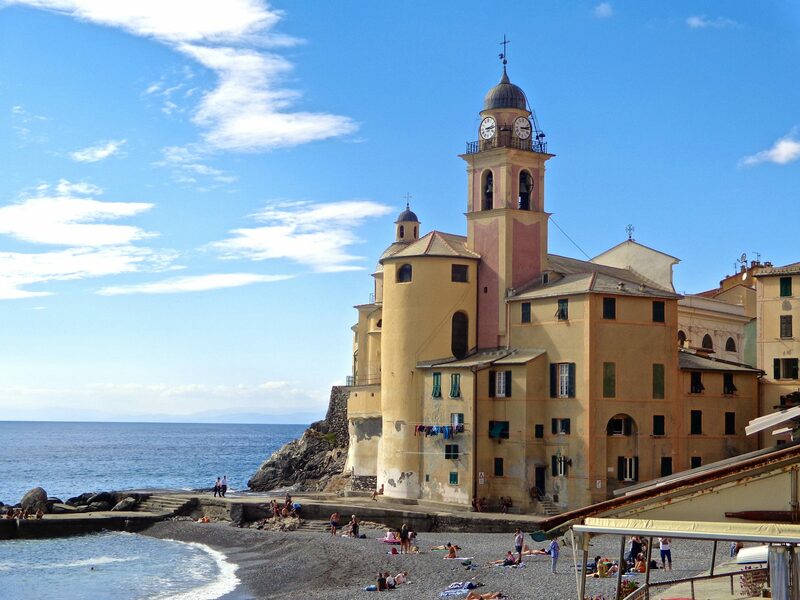 ← I’m Going Back …..to Italia! Beautiful photography of a beautiful place! Thanks for a fun read. 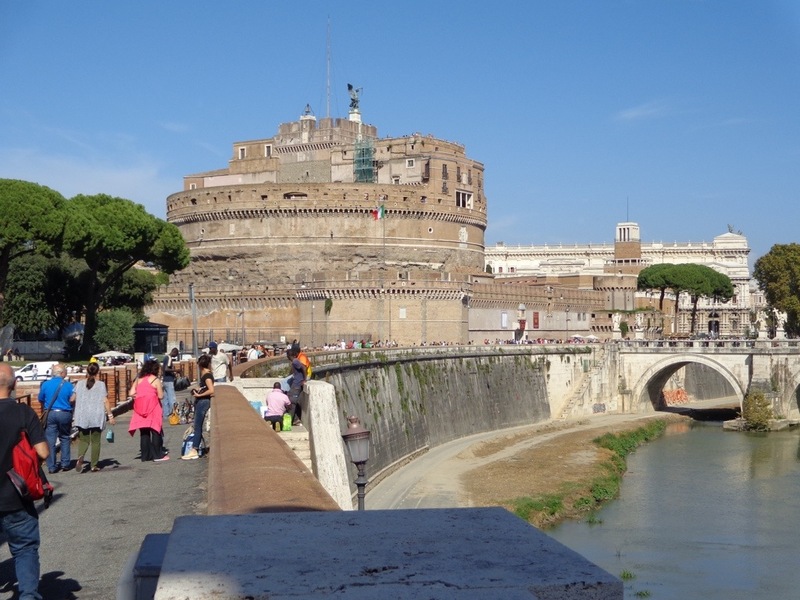 I didn’t make it through Castel Sant’ Angelo on my last trip so am adding it to the next. Last time I was in there it was raining and that sort of spoiled the views. I remember the fried artichokes from January, and since I’m reading this a couple of days late, I hope you really enjoyed them and your walk on the hill! Hi Joan, thank you for your comment. 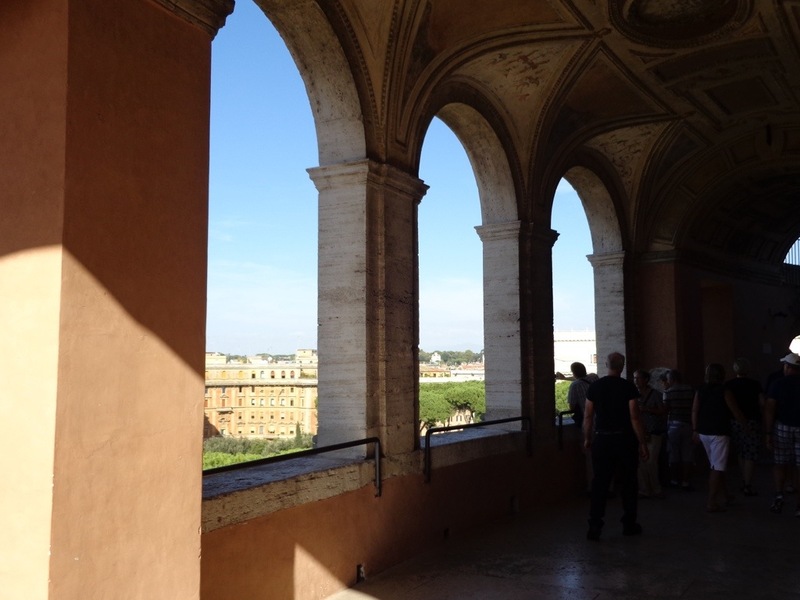 I really enjoyed Castel Sant’Angelo, especially the views from the top. The fried artichoke was so good, I went ahead and ordered another. The leaves were salty and crispy, like chips. I also had fried pumpkin blossoms…..to die for! Tender, delicate, flavorful and light. Heaven!